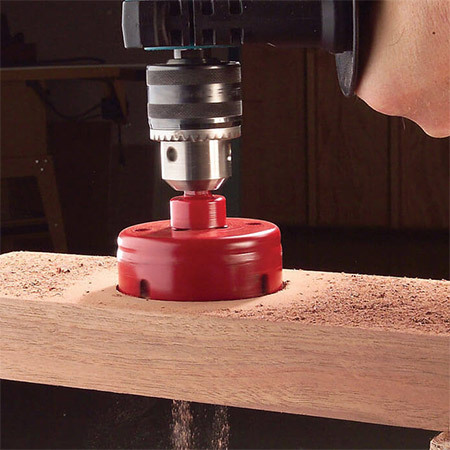 When drilling a hole with a hole-saw, too frequently, especially when drilling hardwoods, the cutting edge of the hole-saw blunts quickly. During the cutting process, a hole-saw accumulates a lot of waste sawdust. This waste remains where the cutting takes place. To prevent this, try this nifty trick to keep your hole-saws sharper for longer. 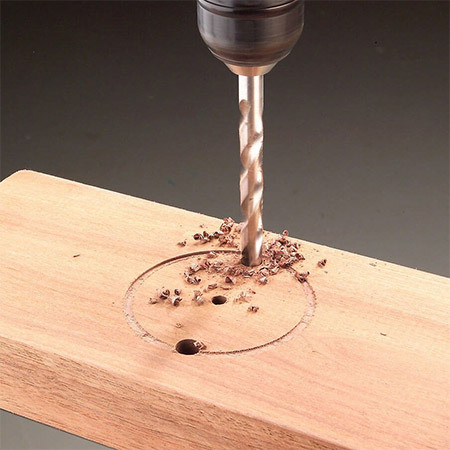 Fit the hole-saw to your drill and score the surface of the wood where you want to drill a hole. Before you continue to drill with the hole-saw, drill a couple of holes with a 10mm bit - just inside the scored circular mark. Now when you continue on with the hole-saw, sawdust falls through the holes rather than building up and dulling the cutting edge of the saw. You will immediately notice that the hole-saw cuts faster and you won't see any burn marks caused by friction.